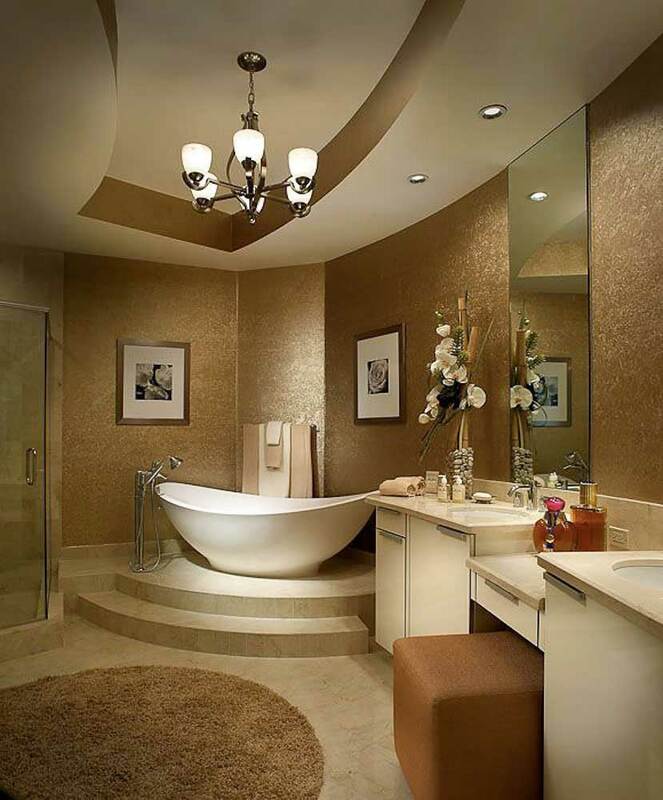 The bathroom is the main area you need well-lit and well-decorated to apply makeup, shave, and get ready in the morning. 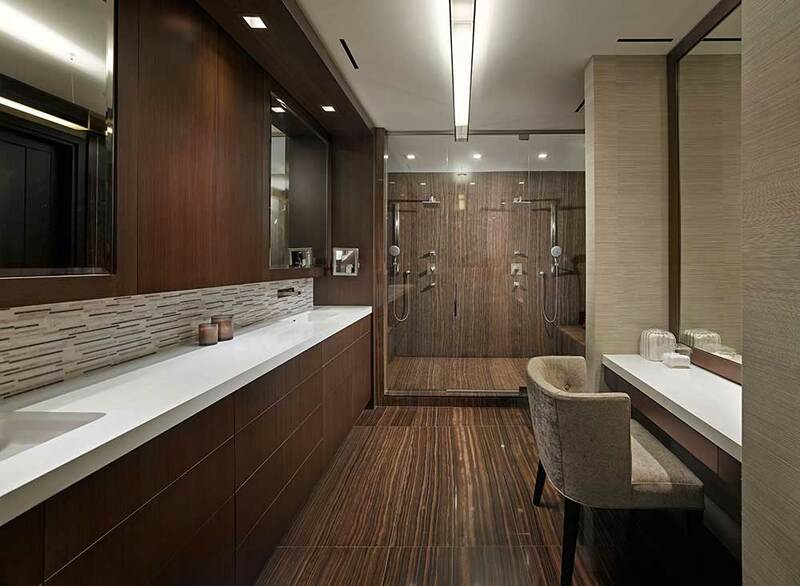 Lighting is crucial in a place like the bathroom and modern bathroom lighting is easily achievable by taking into account a few tips. 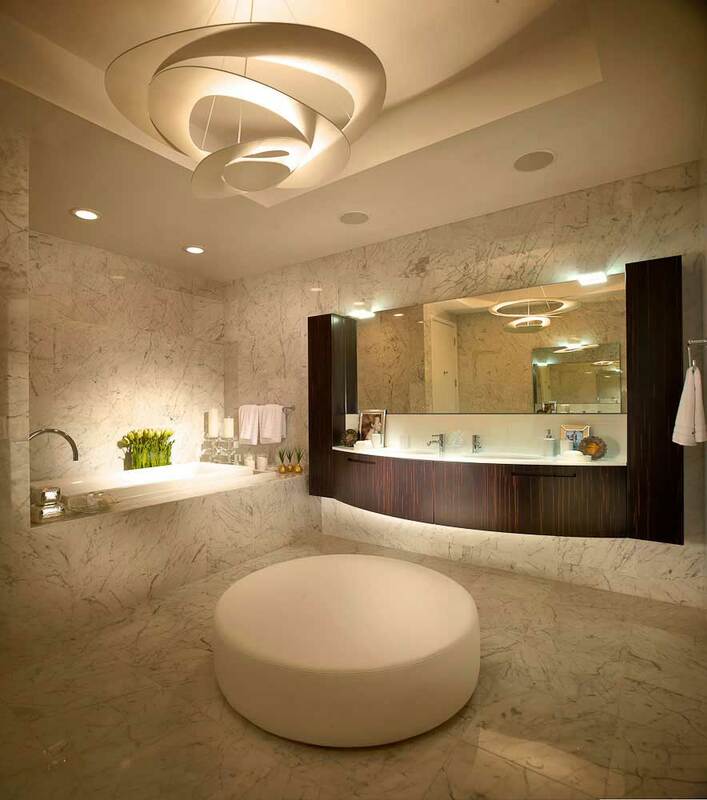 A well-lit bathroom consists of ceiling and wall lights with dynamic installations and modern designs and modern fixtures. 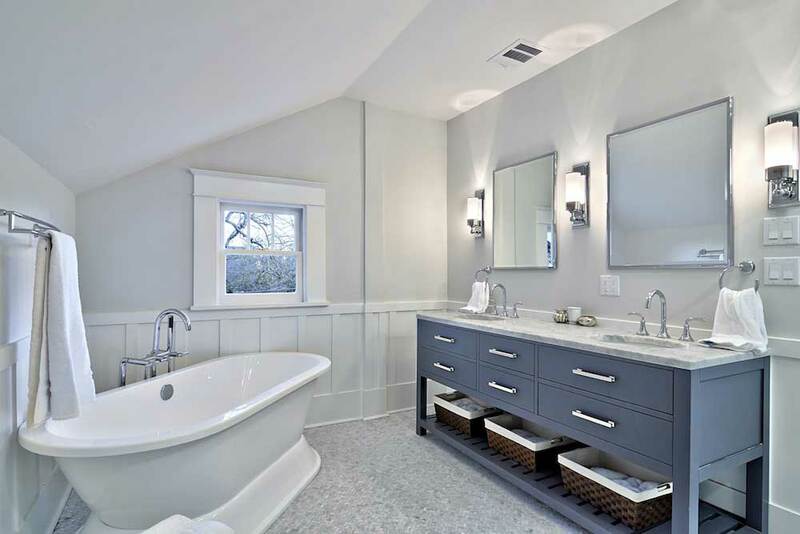 Whether you prefer recessed lights, decorative fixtures, ambience lighting or a mixture of ideas, modern bathroom lighting provides the necessary task lighting you need with contemporary decor. 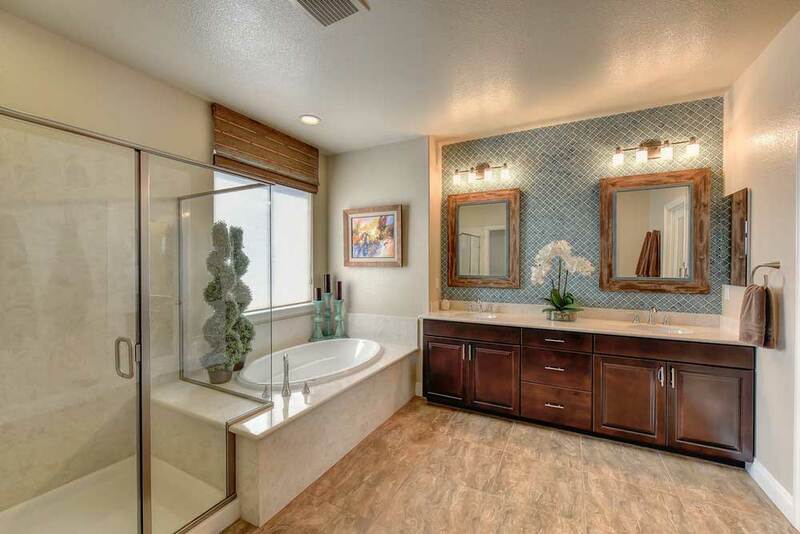 The decor can turn your simple bathroom into a modern oasis, a spa-like area you enjoy getting ready in day after day. 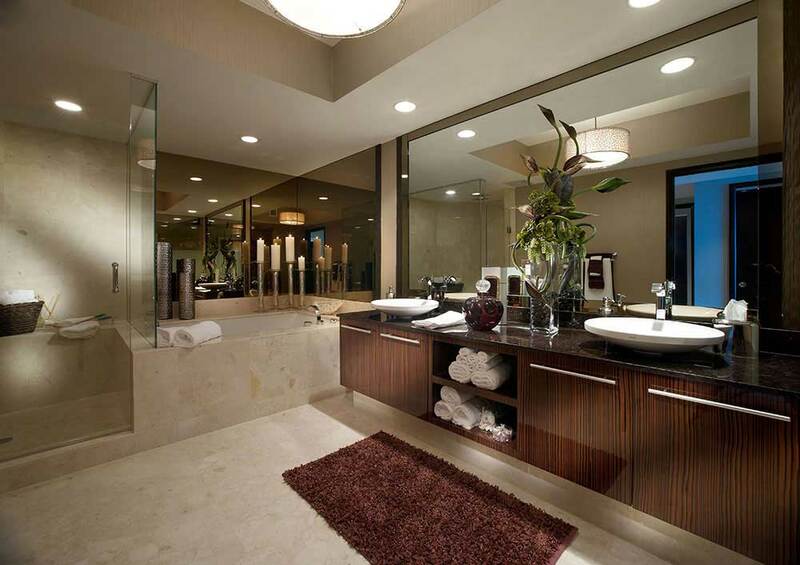 Consider your daily activities and what type of lighting you will need. 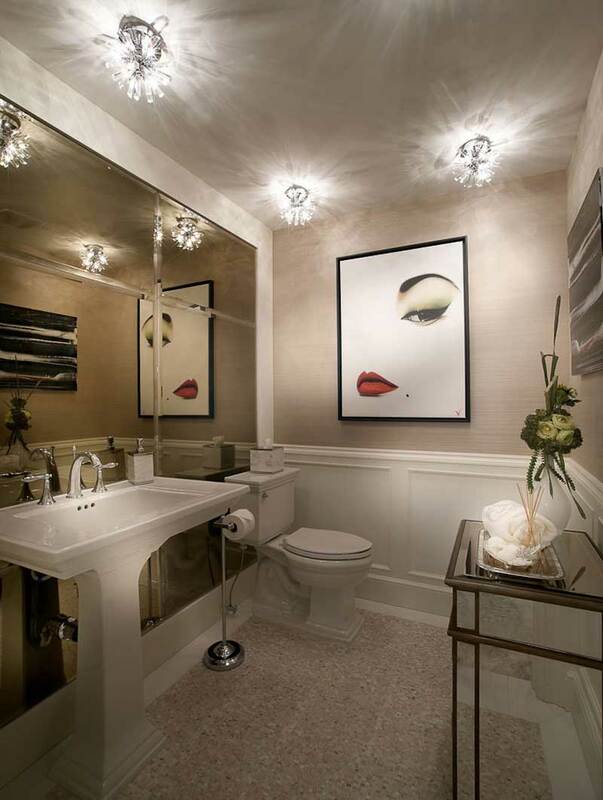 For great task lighting, a vanity light above the mirror is a great idea. For a light in the shower, you will need a UL wet listed lamp. 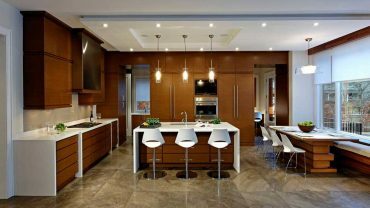 Add ample lighting for precision task lighting and a variety of fixtures to eliminate any shadows while creating your perfect space. 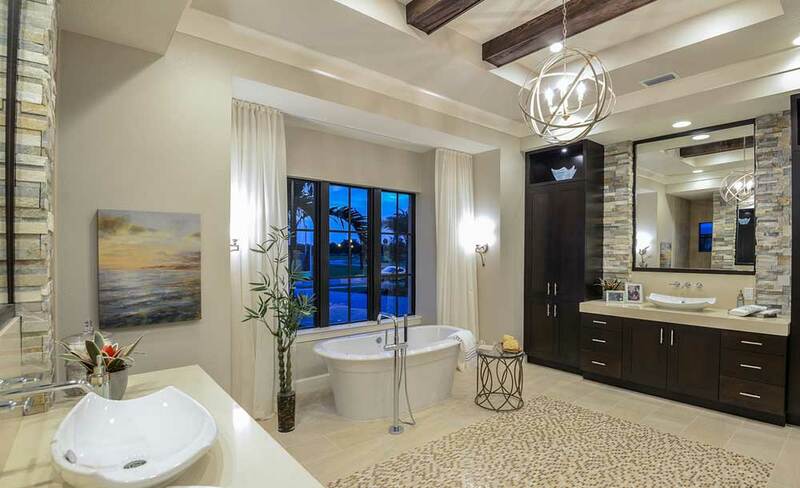 These are the top modern bathroom lighting fixtures and how to make them pop in your soon-to-be contemporary spa-like space! 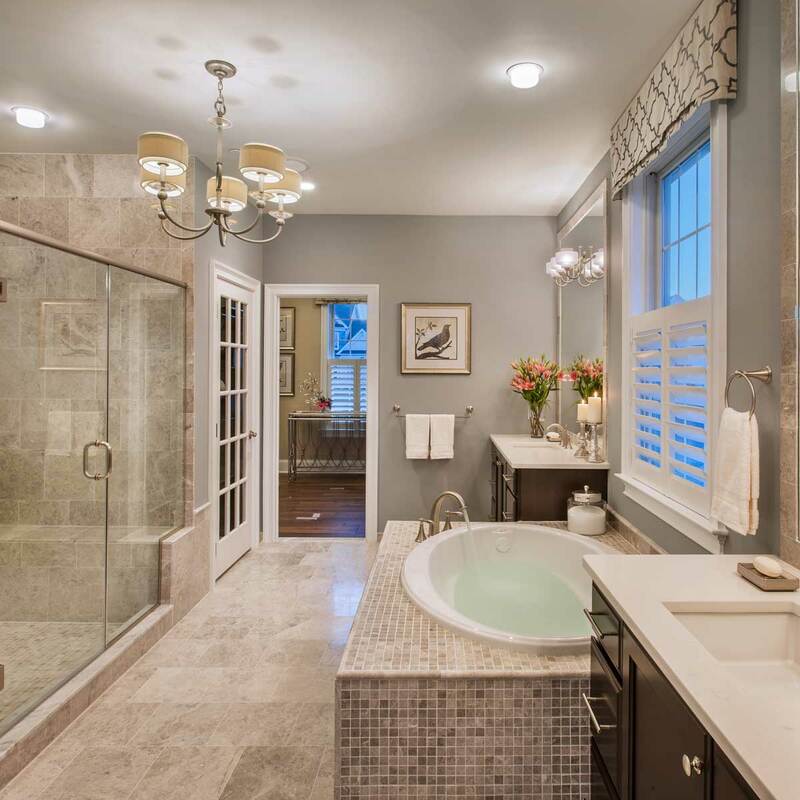 A bathroom can have whatever style you want, but a modern bathroom usually consists of clean lines, relaxing color schemes such as neutrals, greens and greys with a pop of color. 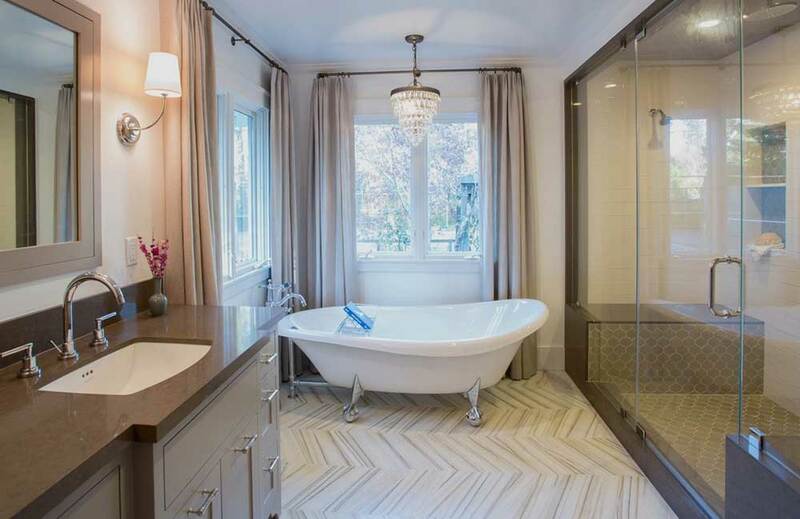 From sconces to tub faucets, every detail counts. 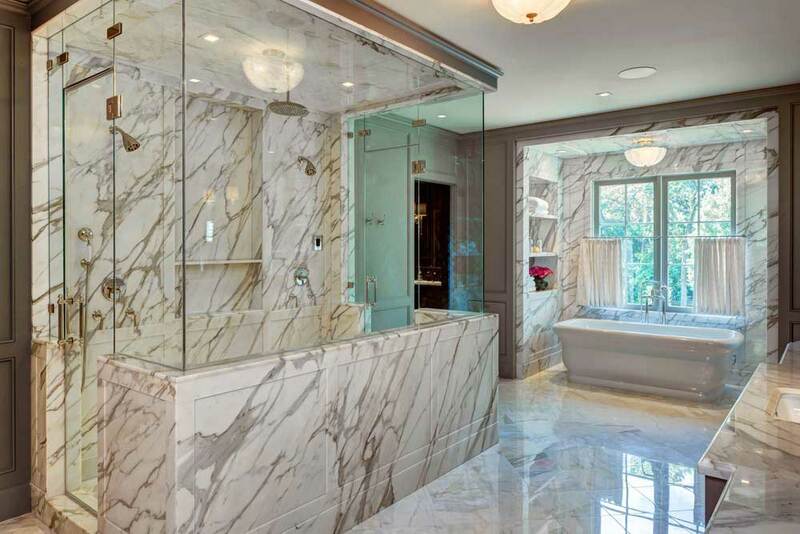 It is important to think of function as much as style since a bathroom is one of the top places you don’t want any major issues or something not working to its fullest ability. You should be able to relax and have everything in top shape. 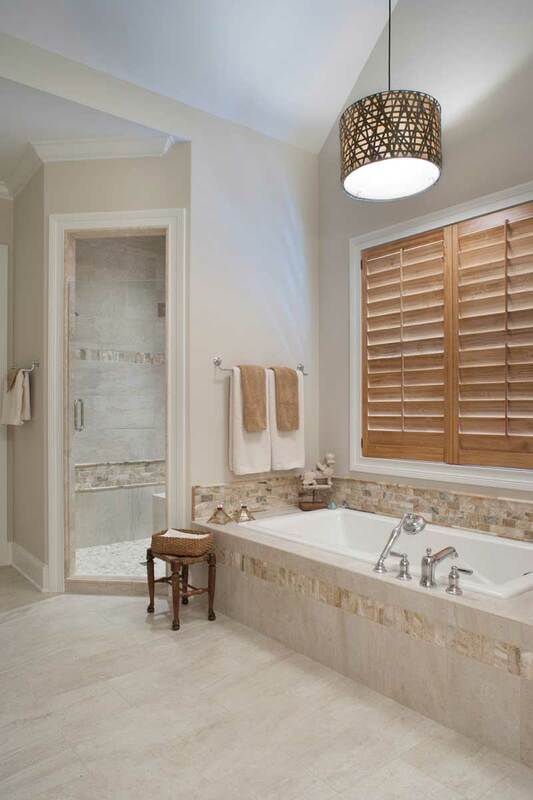 Illuminating the bathroom is easy with some light fixtures to outfit the bathroom. 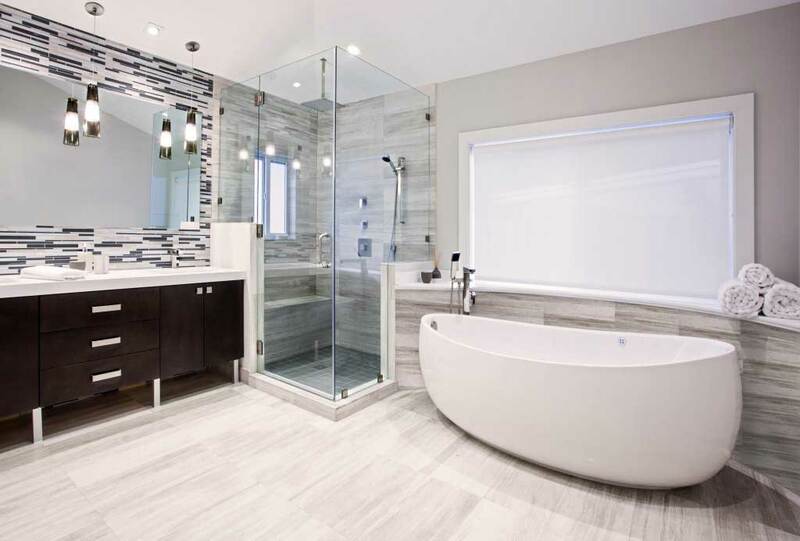 The top choices when it comes to modern bathroom lighting are wall fixtures and light bars which illuminate the bathroom and eliminate shadows, all while saving space. 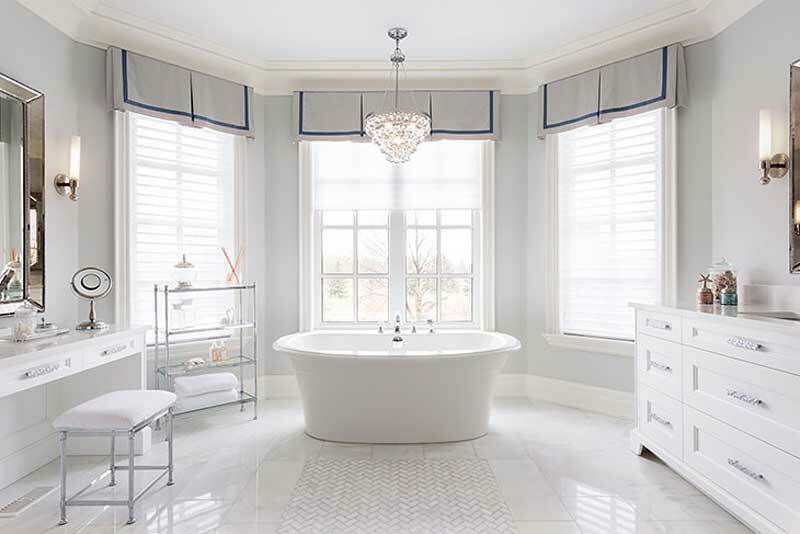 You can choose from light bars in the globe style or bars, above the mirror or on both sides of the mirror. 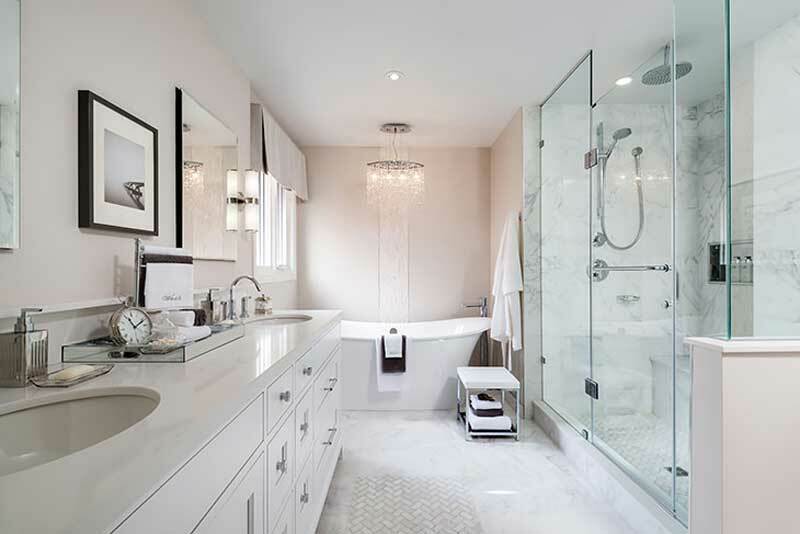 Bathroom wall lights include sconces and brackets which can be installed beside the mirrors and always add a decorative flair. They are perfect for complementing overhead lighting. 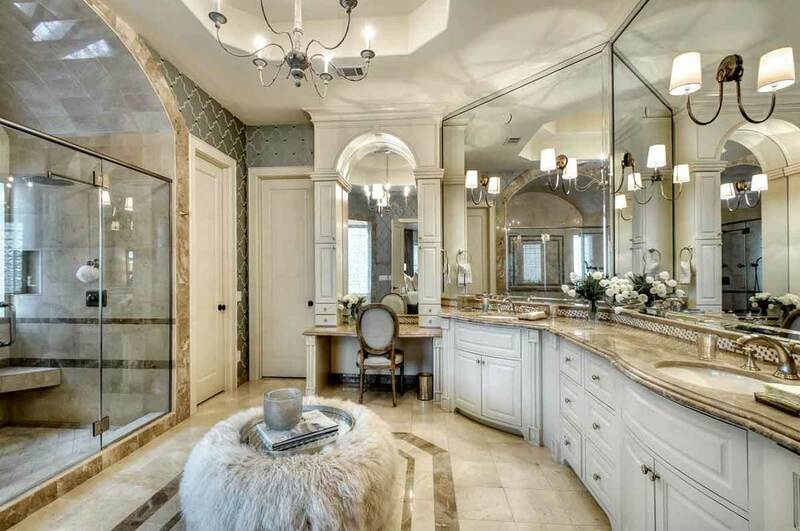 Size of mirror: If you have a large mirror, the vanity lights should coordinate with that. 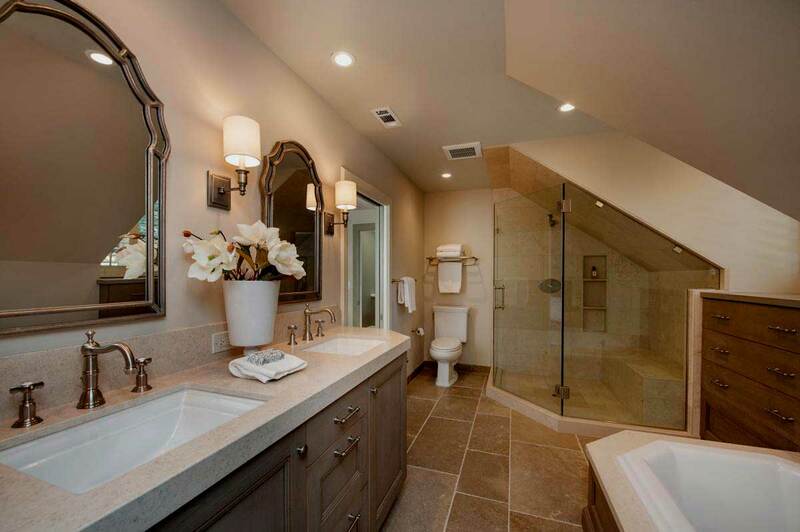 Try mounting the bathroom lights on both sides of the mirror to give a big and balanced look. 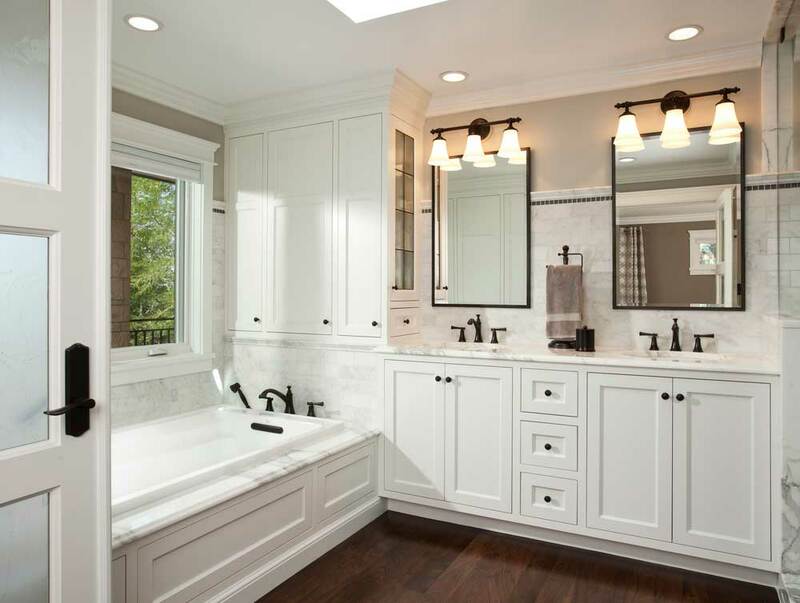 With a smaller mirror, a light fixture just above the mirror can help eliminate shadows and give enough light. 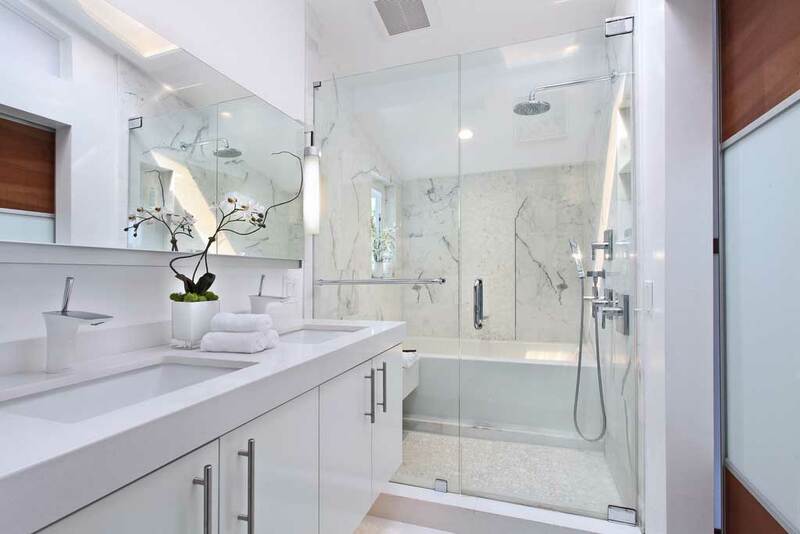 If placed on the sides, the fixtures could be placed on the wall or on the mirror itself. 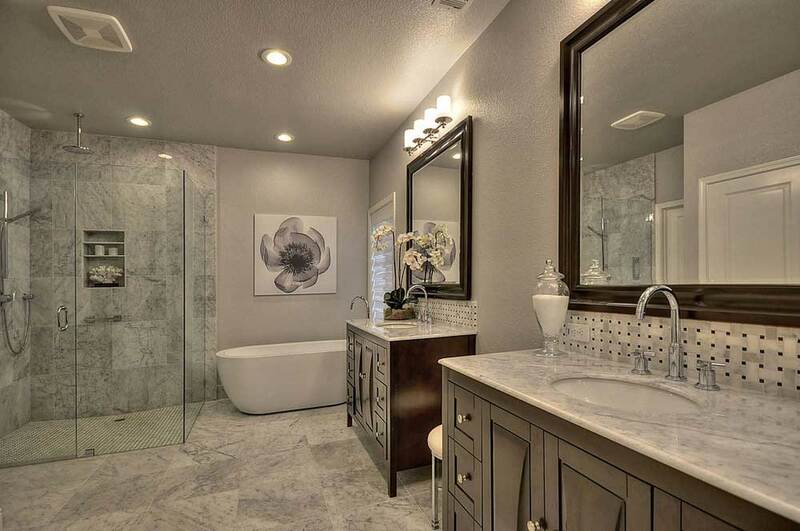 Either way, the center bulb should be at eye level or about 66 inches above the floor for the most efficient and centered look. 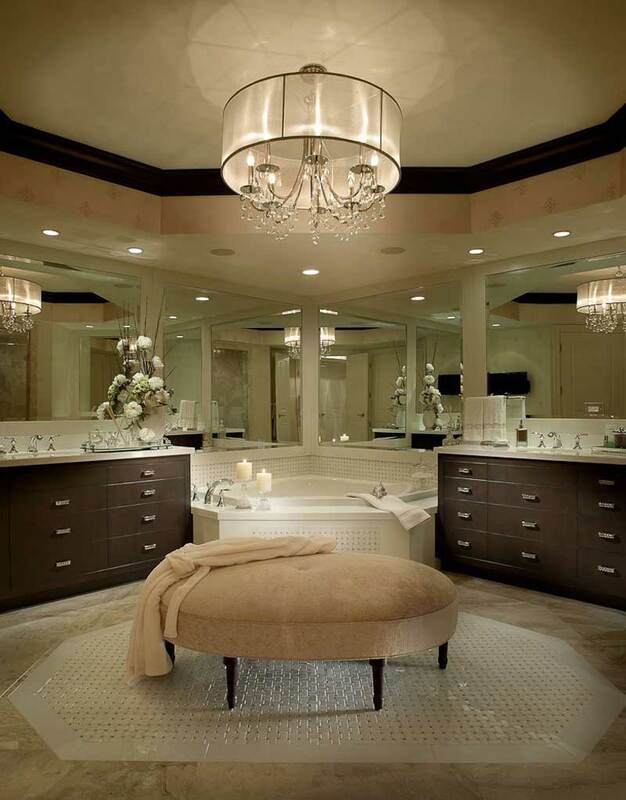 Vanity lighting is a very popular form of modern bathroom lighting. 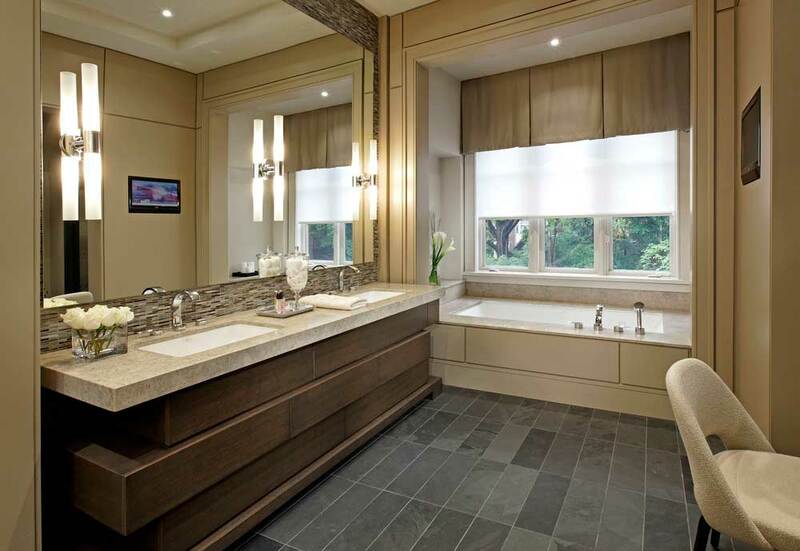 Vanity lighting helps keep the bathroom functional, giving ample light where needed most. 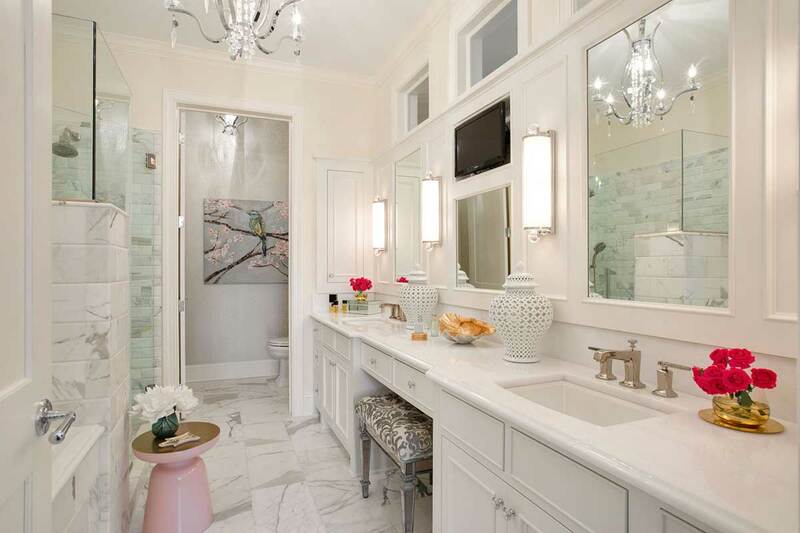 Vanity lights can be hung above the mirror or on each side of the mirror and are usually very bright and are a great way to help you get ready in the morning. They are available in an array of sized, shapes, blends, decor and design. 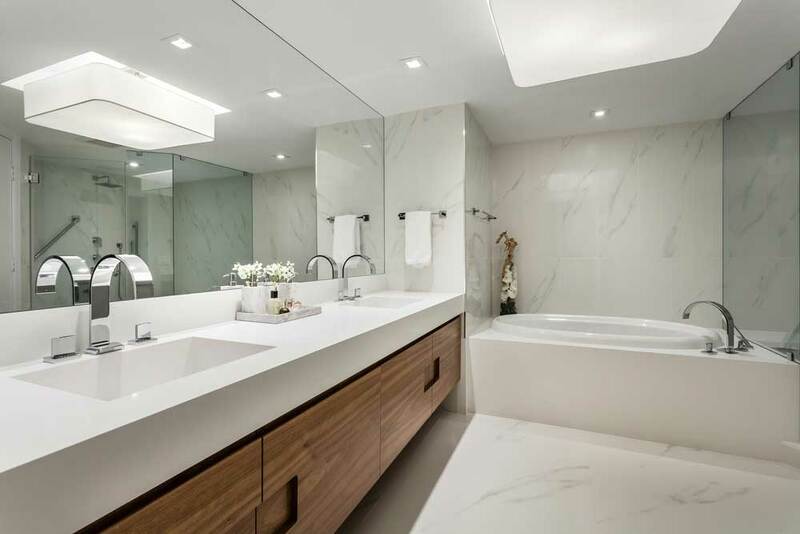 You can choose if you want something bold and rectangular or something simple and minimalist for task lighting, a vanity light is a modern choice. 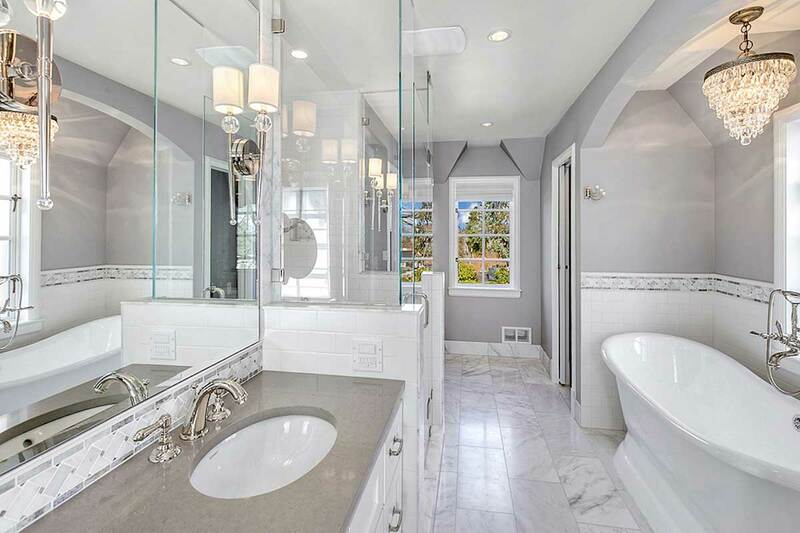 A lighted mirror mixes a bathroom light fixture and a mirror together to make a very useful and modern product for your bathroom. 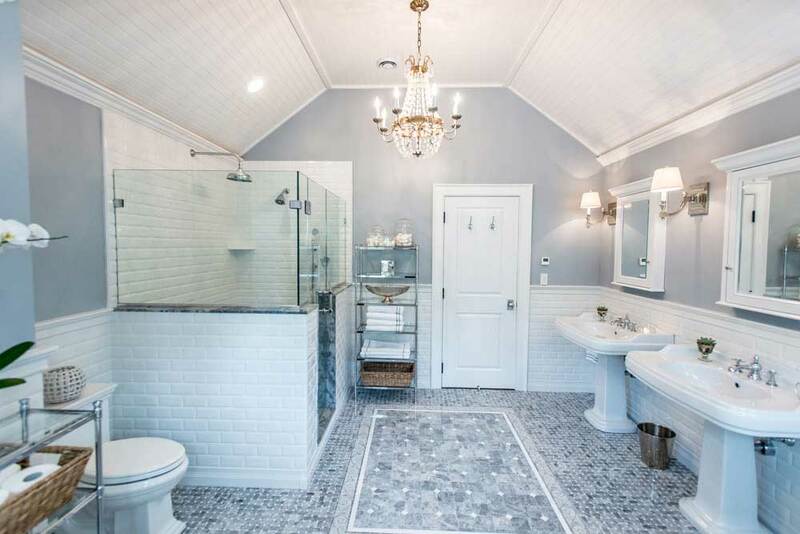 It is perfect for a morning routine and for general task lighting, it is efficient and an easy choice if you are looking for modern bathroom lighting but don’t want the hassle of choosing various fixtures yourself. 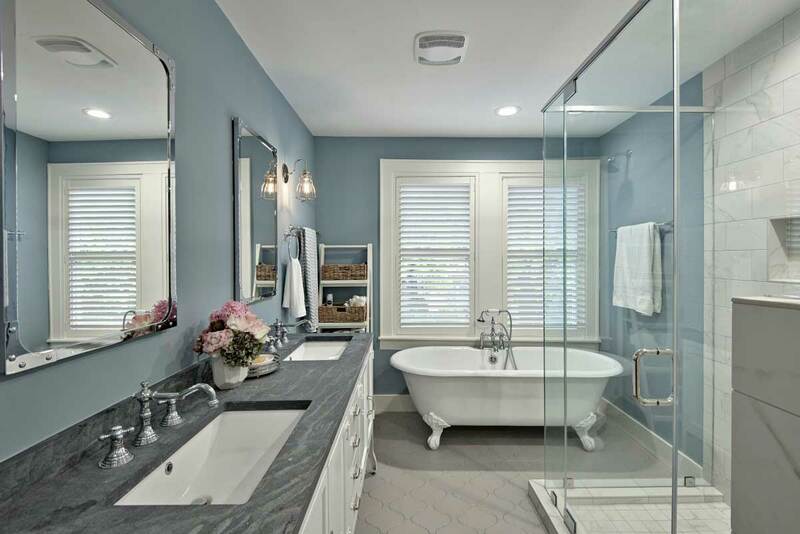 You can choose from round, rectangular, big or small, colorful or whitecast lighted mirrors and all complete the bathroom. 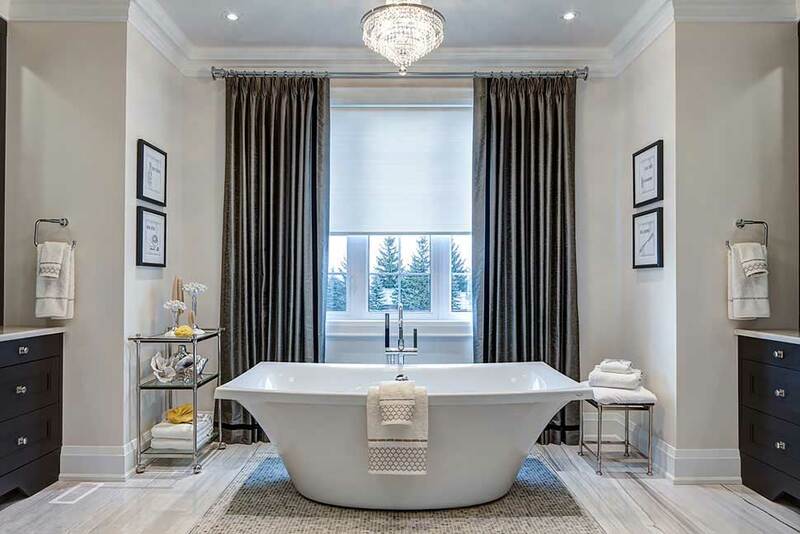 Modern ceiling lights casts diffused light throughout the space for an even stream of light perfect for getting ready in the morning or before bed. 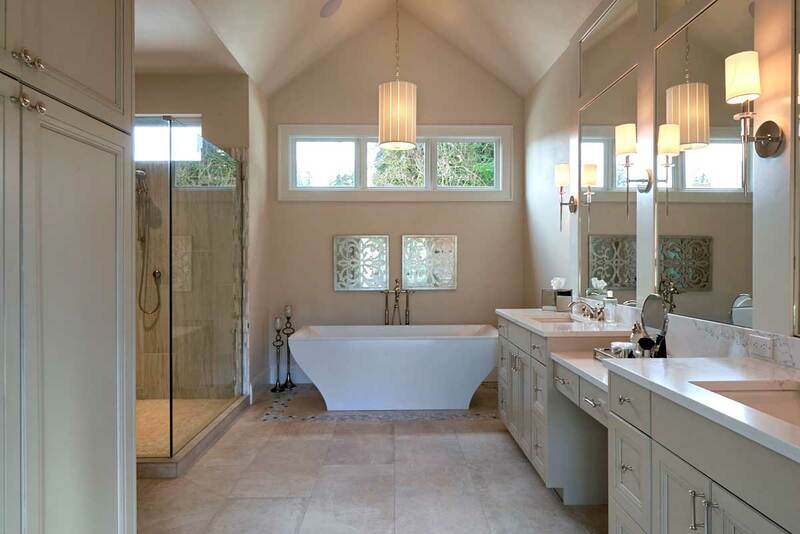 Ceiling lights are simple, clean and keep things functional. 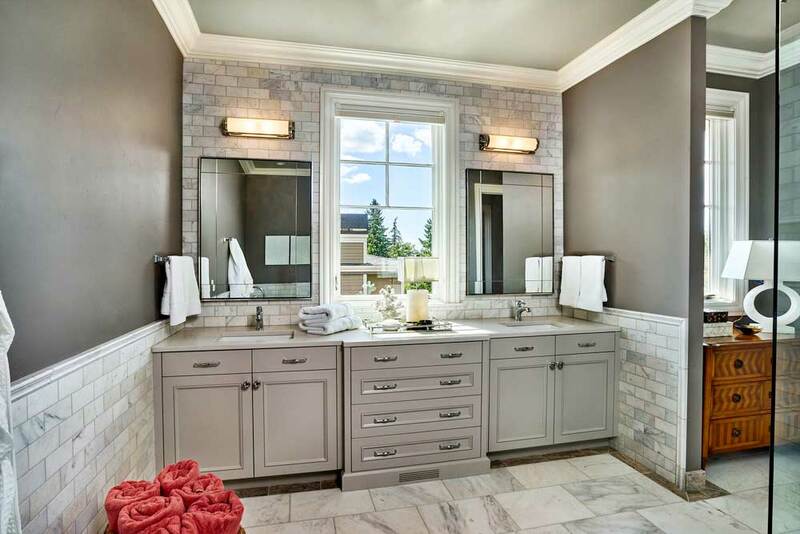 Wall sconces look great in any room but they are particularly useful in the bathroom because the provide task lighting and help illuminate any dark corners you have have in the bathroom. 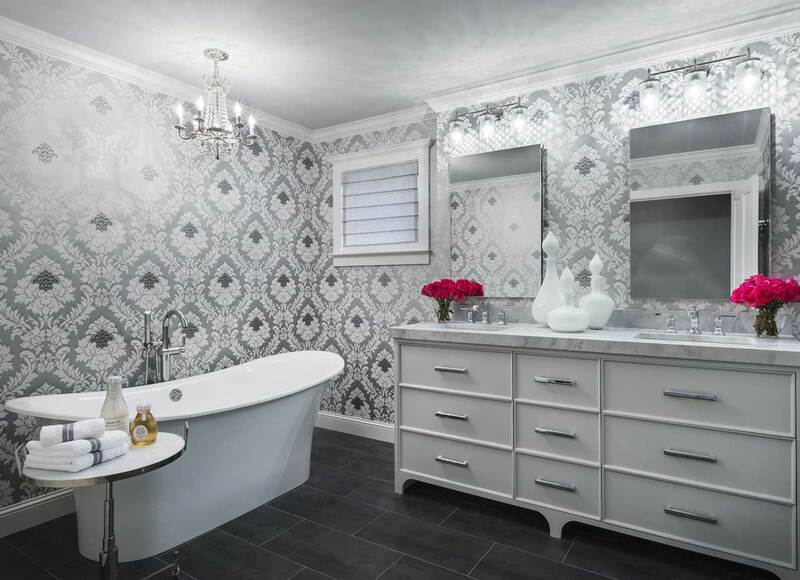 They can highlight any piece of art of bathroom decor you may want to highlight. 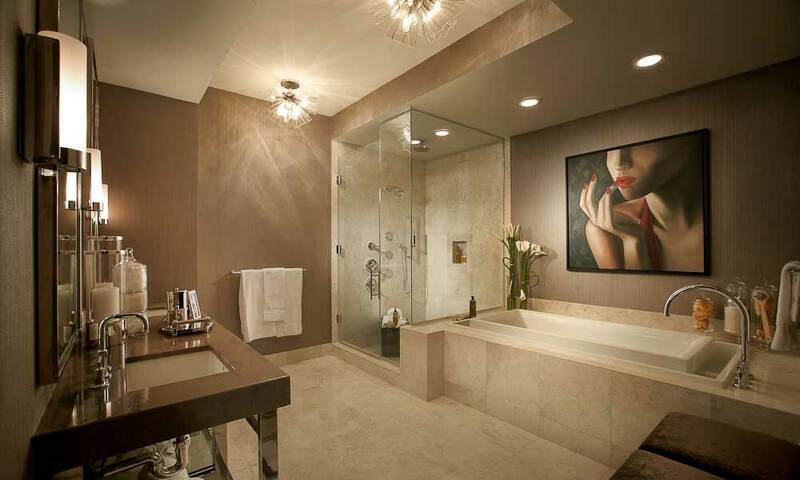 It can be small and minimalist or a great piece of decor as a bold statement if you wish. 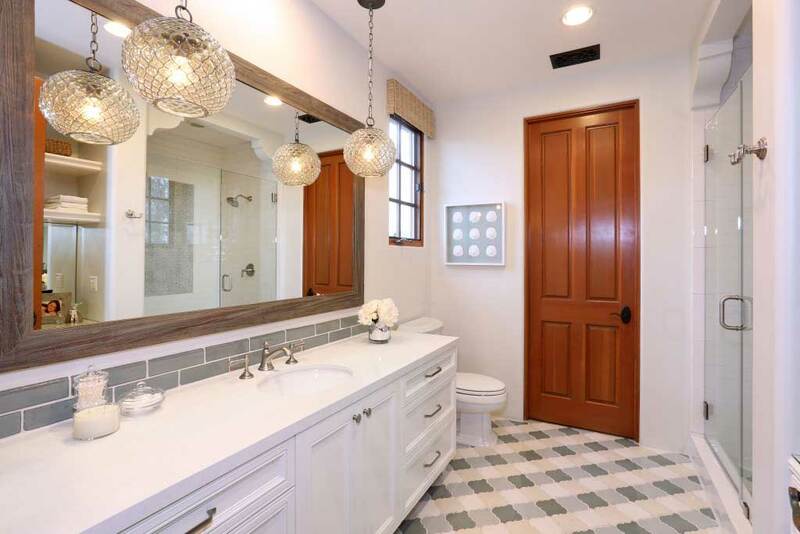 There are plenty of wall sconces to choose from and they are very useful, especially in larger bathrooms as they can be placed on the walls in addition to mirror lights. 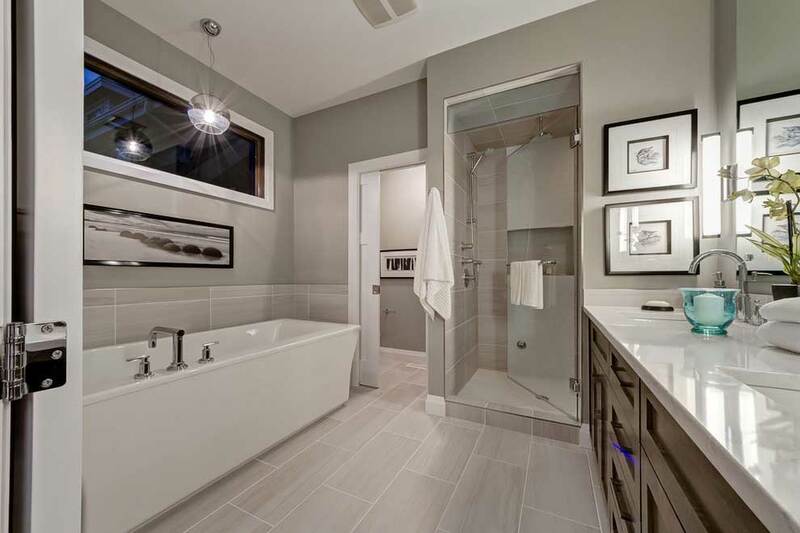 If you have limited space in your bathroom but are still looking to renovate, cabinets are a great choice because they add hidden storage without taking up precious square footage. 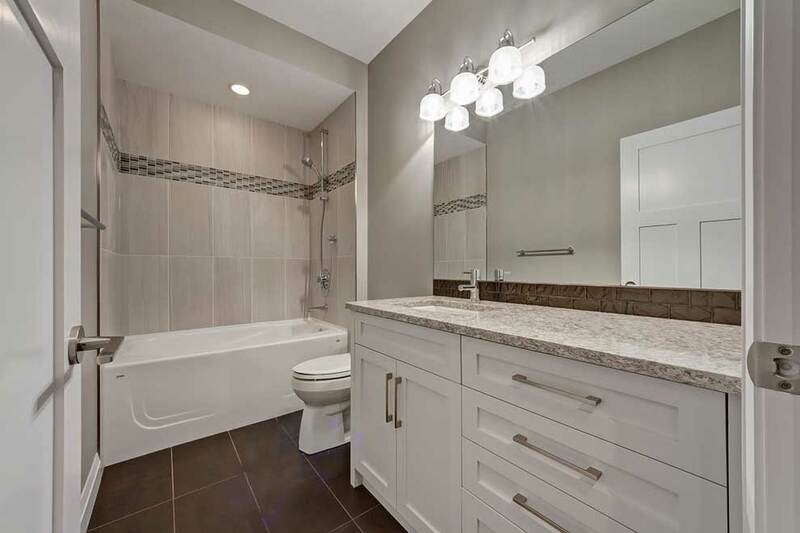 Add cabinet lights and you have an innovative and modern storage space for your small yet contemporary bathroom. It is very useful as the lights illuminate what you are looking for and can be an extra help in the morning as you search for your products. 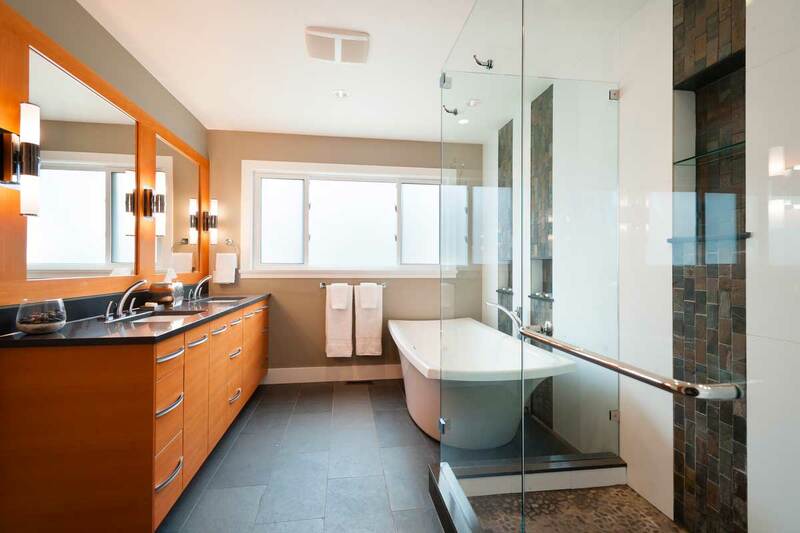 Storage, towels, mirrors and other accessories make for a contemporary feel to the bathroom as well. 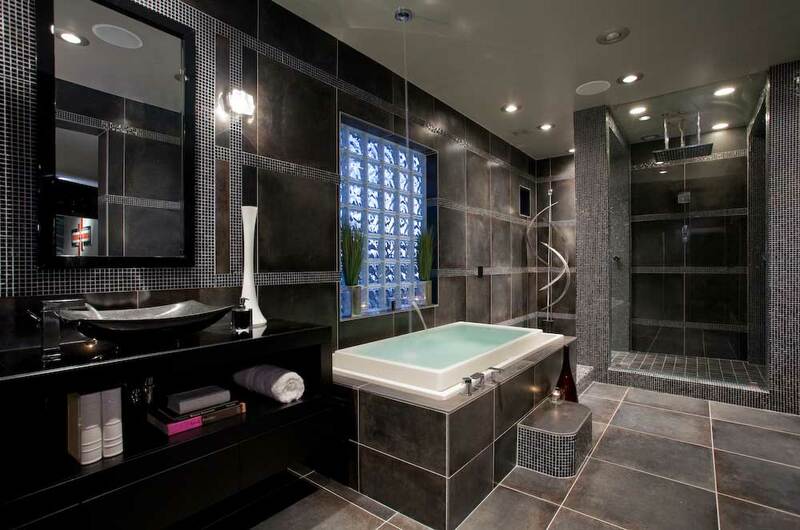 A circular mirror or a frameless mirror can help add a modern touch to any bathroom. 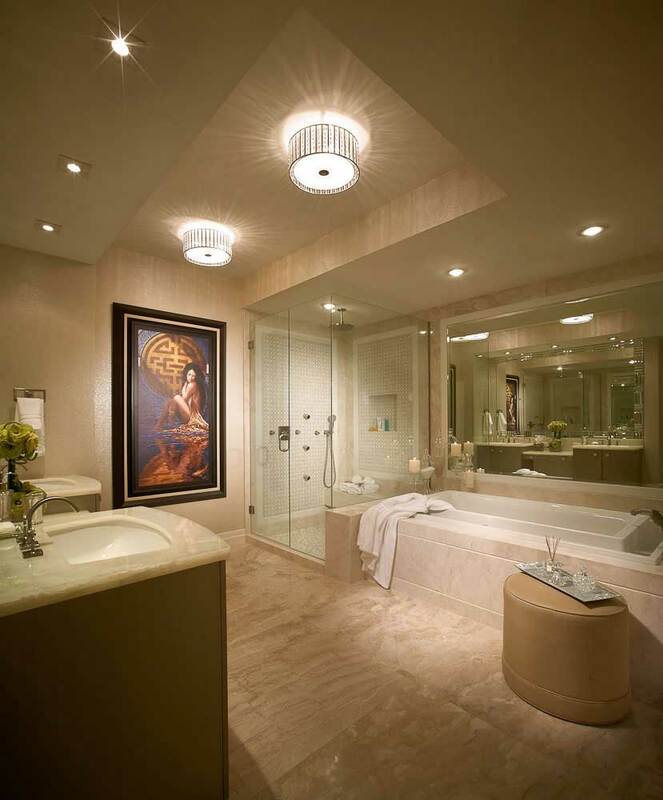 LED backlit mirrors and contemporary bathroom light fixtures are also options that look great and add additional lighting to your bathroom. 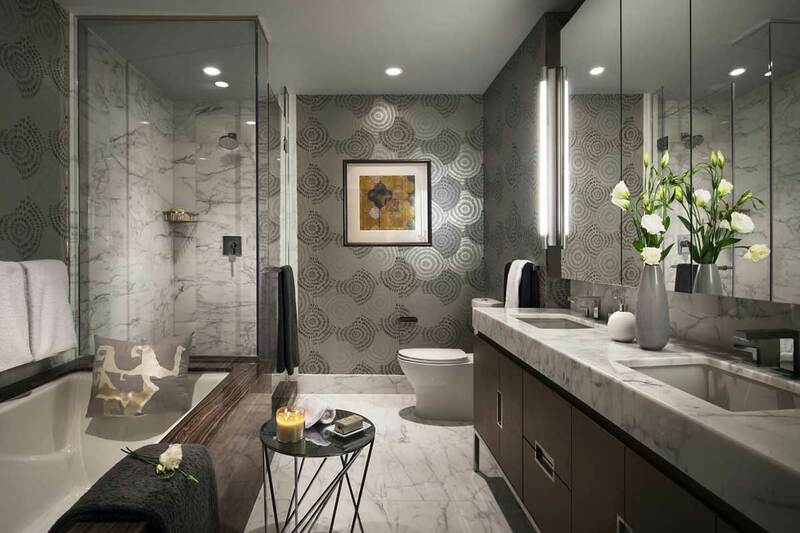 Lights should be there to complement the area, illuminating the space and eliminating shadows, adding a bit of decor and contemporary design but most importantly being the light you need everyday to start and end your day. 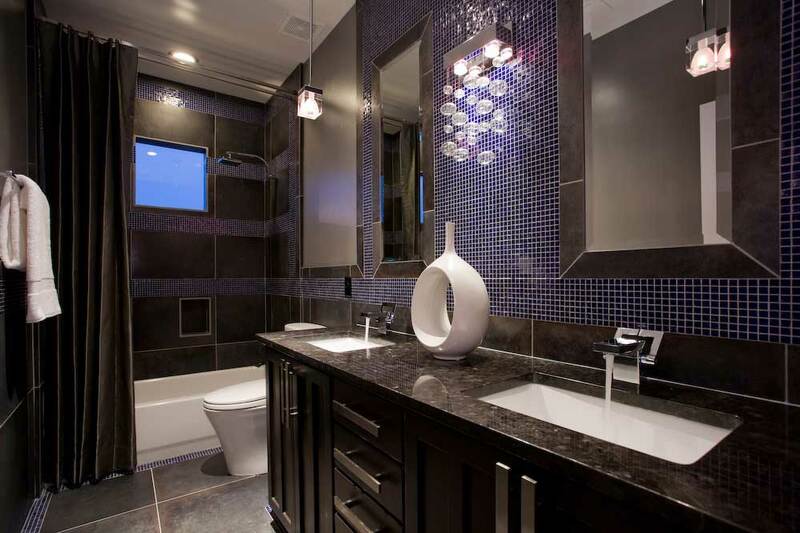 Modern bathroom lighting comes in many choices, but clean lines and bright efficient lights are always in style.